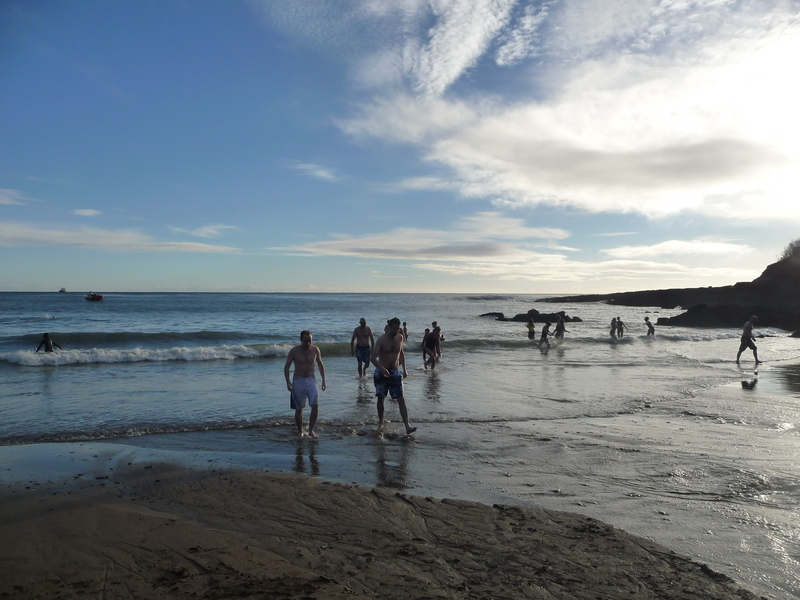 Looks like a normal Myrtleville morning swim………..
Myrtleville – Christmas Day 2013. 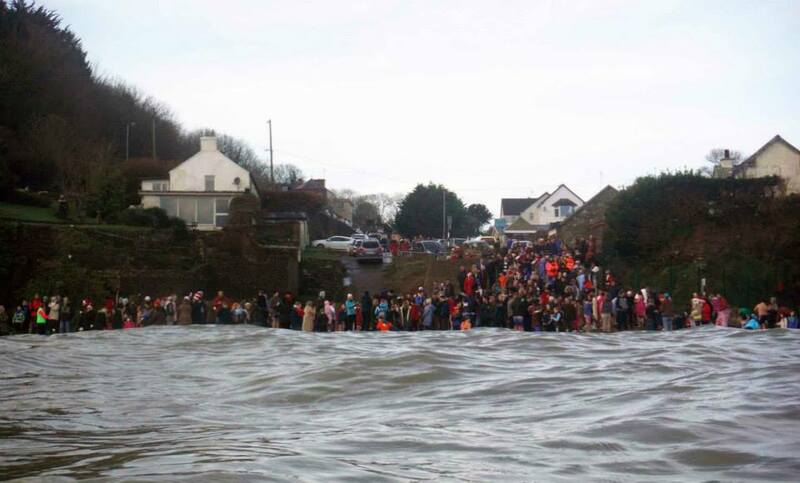 Now that’s a crowd. 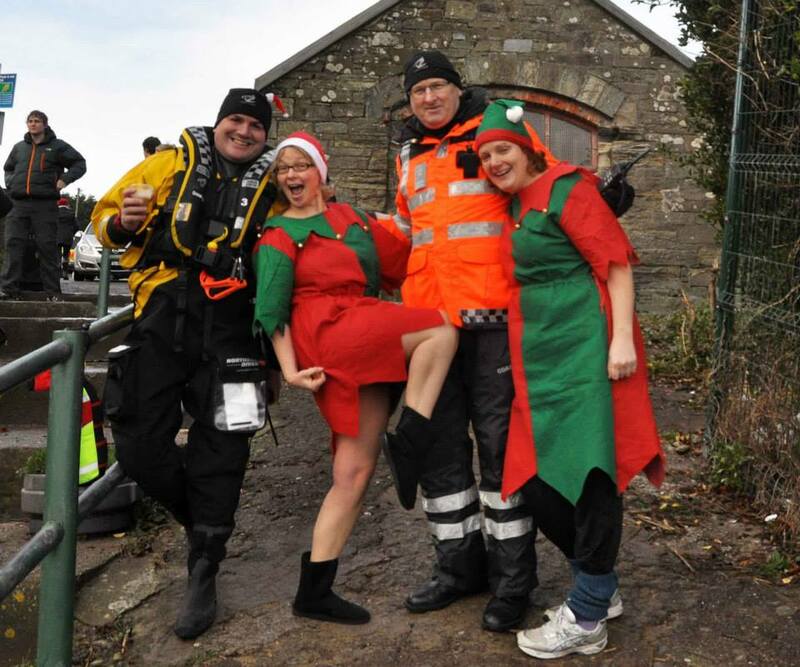 Siobhan and Joleen Elf being detained by the men in uniform. 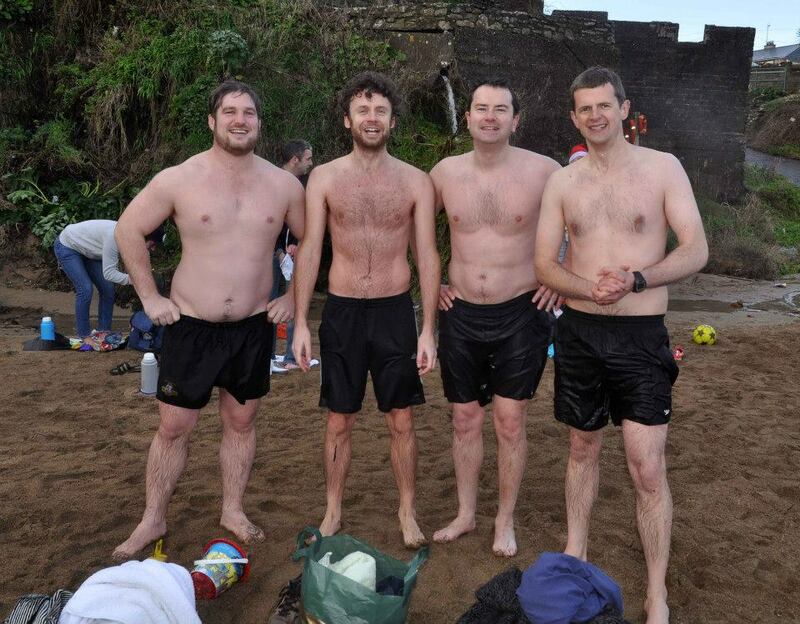 Finbarr Hedderman joins in and pretends to think it’s cold so the others don’t feel bad. In reality, he’s rubbing his hands at the thought of getting a few hours done in the toasty warmth. Siobhan has too many pictures to include them all, so here’s a completely random representative shot…which just happens to include two of my cousins. 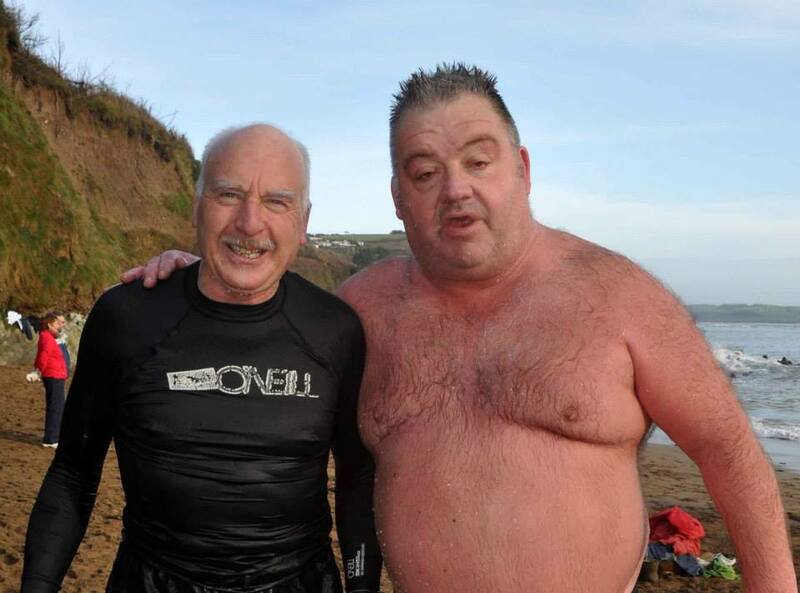 And here is that latest mooovie….He’s getting better by the day. 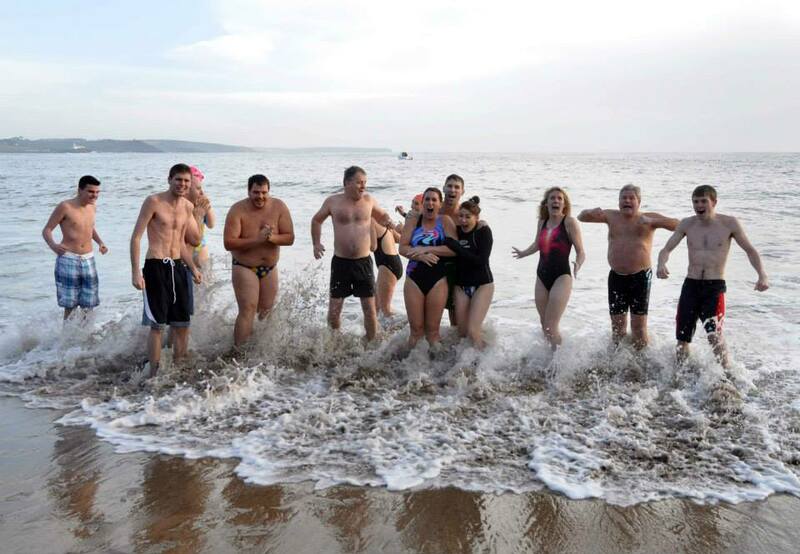 Right, I’m off for my 08.15 St. Stephen’s Day swim now! 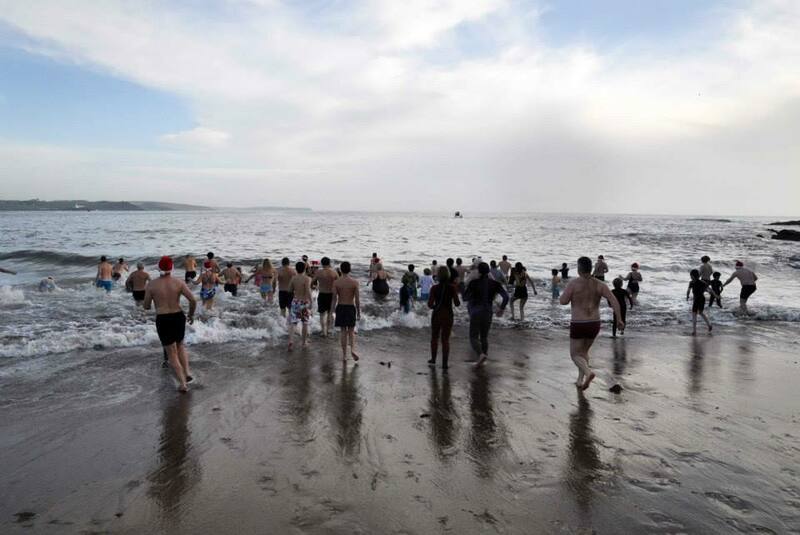 Owen O’Keeffe is coming from Fermoy, so we’ll need an engine to keep up with him. 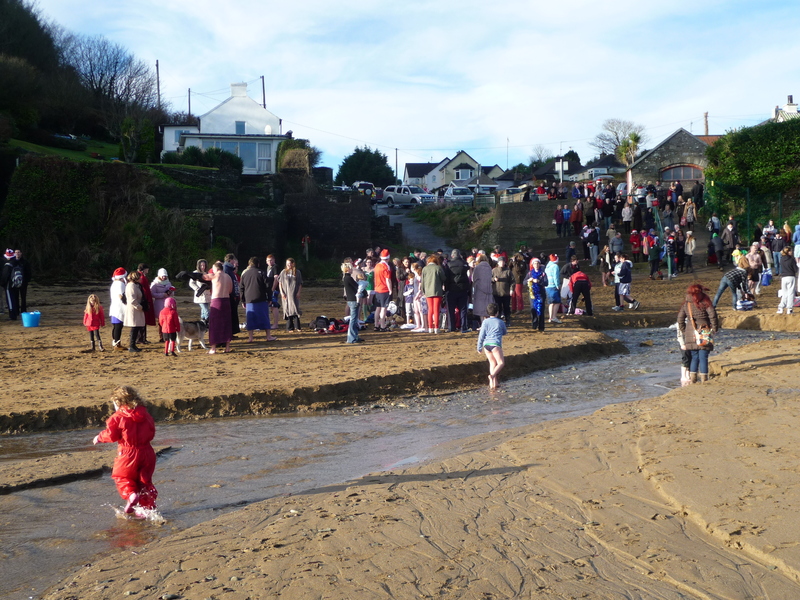 Huge crowds on the beach on Christmas morning, swimming for various charities or just for their own sanity. More cars and people than on the busiest Summer’s day. 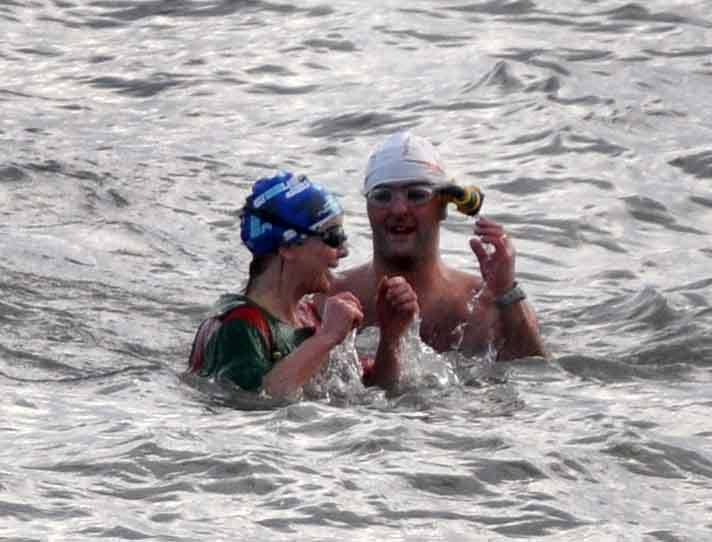 Obviously the health of open water swimming in Ireland is going from strength to strength. Or maybe I’m reading too much into that…. 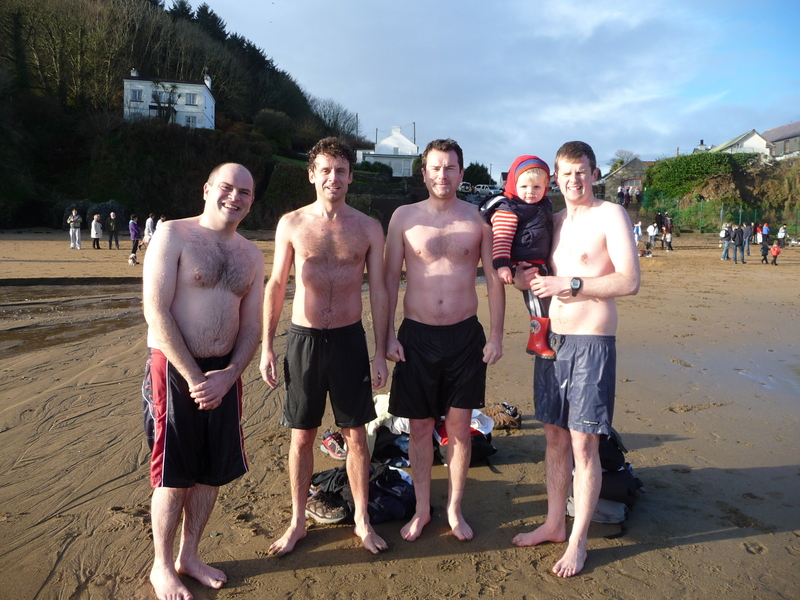 Some swimmers lasted almost a minute in the water…..Thanks to Brian Barry for the pictures. 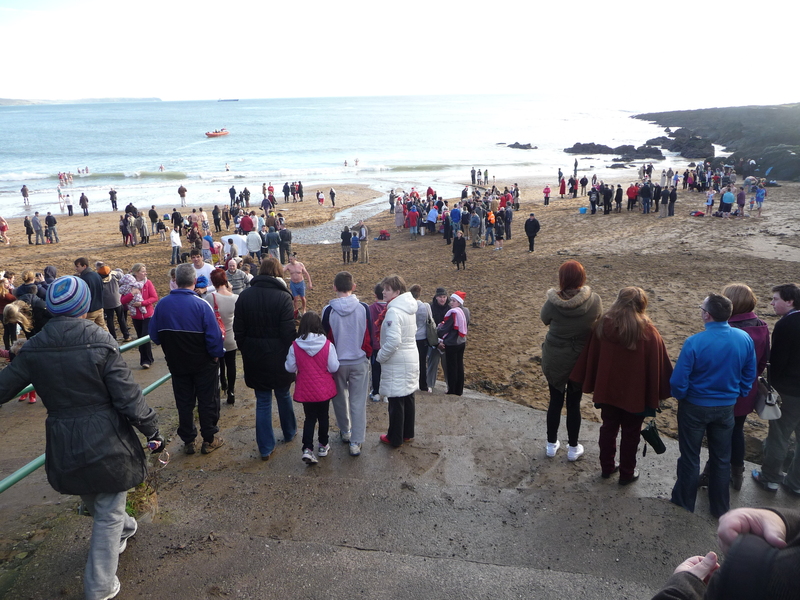 Myrtleville Christmas Swim 2012 – spot the Munster player…..